Some of us inherit favorable family traits like our mother’s emerald green eyes, or our father’s dark full hair. 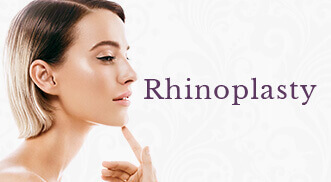 But, what if the feature that is passed onto us is the dreaded ‘double chin’? Luckily, a new injectable on the market, Kybella, promises to make turtlenecks a thing of the past and let patients embrace a whole new profile. “I knew I couldn’t escape it. My dad’s side of the family calls it the ‘Bullfrog Neck’, and while my sister was skipped, my brother and I succumbed to this unfortunate genetic legacy,” laughs Jackie, a Woodbury, MN healthcare professional who asked that her last name not be used for professional reasons. “We’ve been limited for years in non-surgical treatment options for the chin area,” says Dr. Christopher Tolan, an ENT & Facial Plastic Surgeon with Midwest Facial Plastics and a national physician trainer for Kybella. “We could, somewhat, downsize a double chin with tightening lasers, or mask the appearance by using dermal fillers along the jawline, but never consistently address it,” explains Dr. Tolan. “The addition of Kybella to our practice allows me to improve the appearance of the chin area for patients, and heighten their confidence,” he adds. Kybella is the first, FDA approved, injectable for the treatment of sub mental fullness, or “double chin”. 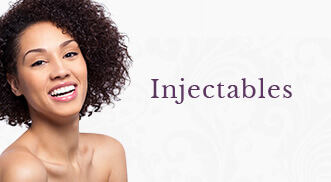 It is precisely injected, by your provider, into the areas of excess fat under your chin. In time, it progressively destroys the fat cells there, and your lymphatic systems clears them from your system permanently. Depending on the quantity of fat in the treatment area, multiple treatments may be needed. These are spaced 8 weeks apart, with full results seen 16 weeks after your initial injection. “I still can’t believe the results,” exclaims Jackie, now a regular patient of Dr. Tolan. “I had quite a bit of fat there to start, so I needed the full 4 treatments, but I literally watched my chin change each month in the mirror. My results from Kybella have vastly improved my confidence in my appearance,” she continues. “I even got Botox at my second Kybella appointment with Dr. Tolan,” Jackie proclaims. “I felt so much better about myself that I wanted to check out other treatments to make me look as young as I feel. That huge crease between my eyebrows was driving me crazy and people kept asking me if I was tired or mad at them. These are obviously NOT good questions from people when you’re a nurse,” laughs Jackie! “Jackie is like many of our female patients, she initially comes to the practice with a specific concern, and once that concern is resolved, she becomes curious in other treatments to naturally improve her appearance, “explains Dr. Tolan. “It’s exciting to see the landscape of this industry change as women take a more proactive role in maintaining their skin’s health and appearance,” he continues. Call today to schedule a consultation for Kybella, or any other treatment at Midwest Facial Plastics 651.632.9700! I feel fantastic! I’m able to breathe a lot better. I want to thank Dr. Tolan for doing such an amazing job with my rhinoplasty surgery. I absolutely love my nose! There doesn’t appear to be any swelling at all that I can see, but I know it takes awhile for it to heal. I feel fantastic! I’m able to breathe a lot better. Thank you so very much! I am comfortable getting surgery under his care. I was very impressed with how prepared Dr. Tolan was for my appointment. While I hadn’t seen him in years (8-10) and I didn’t remember my own history, he took the time to review my incident and spoke very knowledgeably about my patient history, even providing pictures documenting my last visit. He clearly outlined my options, and explained the potential surgery process, which was helpful. He was professional, personal, and instrumental in guiding me to making an informed decision. I am comfortable getting surgery under his care. I am loving the results! My best friend of 35 years told me that I look so relaxed and younger since I retired. She does not know about any of the procedures I’ve had. Everything is great, the filler for my tear troughs is something I will want to do again. I can’t thank you enough!!! Thanks for your hard work and “artistic” skill. It’s been very uplifting! I want to express my gratitude to Dr. Tolan and the Midwest Facial Plastic Surgery & Aesthetic Skincare staff for the reconstructive surgery for my husband. Your team was a Godsend. My husband and I have been married for 28 years and have four kids. He’s always been a confident man, but occasionally I would see him become so self-conscious about his cleft lip and nose it tore at my heart. I know it pained him. This never happens anymore. It’s been over a year since his first initial surgery and I’ve wanted to share with you how much I appreciate you helping others to see (at least physically) what I’ve always seen (spiritually) about my husband…the wonderful handsome man he is! I know he views you as a dear friend and incredible doctor. Thank you for sharing your God given talent. I love the results. Love them, love them, love them. I am going to get the peels and Botox from Midwest Facial Plastic Surgery & Aesthetic Skincare for as long as I live. Wonderful. FIVE STARS! LOVE IT!